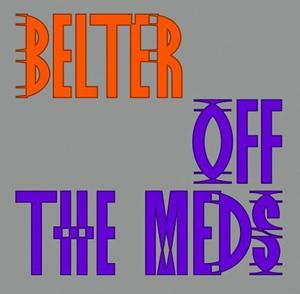 Off The Meds is a Swedish-South African crew based in Stockholm, consisting of producers Adrian Lux, Carli Löf and Måns Glaeser with vocalist Kamohelo Khoaripe. Belter is their first full solo release, arriving on Studio Barnhus 7 months after the band’s low-slung, ethio-jazz-influenced hip-house burner Currency Low appeared as one of the standouts of 2018’s much-lauded label compilation Studio Barnhus Volym 1. A relentlessly catchy party starter, Belter combines classic rave elements with cutting edge production techniques and Kamo’s pitch-shifted rapid-fire vocals. Already a key feature in recent sets by the Studio Barnhus posse as well as London top selector Joy O, the latter took it upon himself to remix the track, turning it into an extended broken techno trip, a few shades darker and dubbier than the original. Both vinyl and digital releases come with a full acapella version for all the daredevil djs out there!